Today saw the news of who will be singing the theme song to the upcoming next installment in the Bond franchise. This honour has been given to Sam Smith. The song is called “Writing’s On The Wall”. The film is out in late Octover in the UK and early November in the US. The song on the other hand has a release date of September 25. It will be available in both a physical and a downloadable version for you to listen to. Not only has Sam Smith sung the song but he co-wrote the song as well. Along side with fellow GRAMMY® Award winner Jimmy Napes. 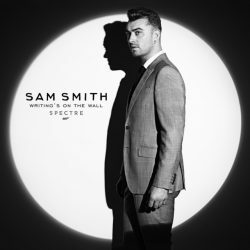 The press release mentions that “it is the first James Bond theme song recorded by a British male solo artist since 1965.” – The year that Thunderball came out and was sung by a Welsh artist, Tom Jones.